AIA billing is a system, created by the American Institute of Architects in 1992, that serves as a standardized way for contractors to submit work-related paperwork to architects. AIA billing paperwork is largely based on the schedule of values. Contractors submit these with the original contract for work. The schedule of values itemizes and assigns costs to segments of the job the contractor is performing. The architecture billings index is calculated through monthly surveys conducted by the AIA Economics and Market Research Group and provides a measure for how well the architecture industry is doing. The information for the ABI is compiled using billing information, so it also provides a guideline for costs. 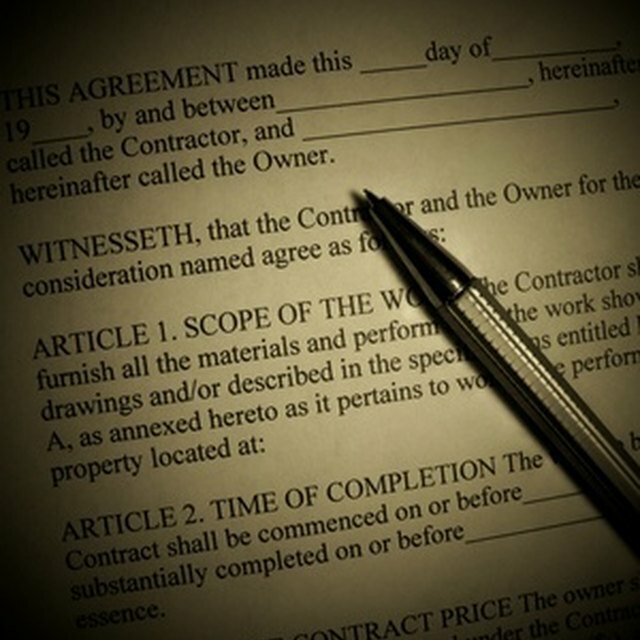 The two most common AIA forms are the G-702 contractor application for payment and the G-703 continuation sheet. The G-703 form breaks work into segments according to the contract originally signed by contractor and architect. The G-702 form is a summary of the information on the G-703 and includes current payment due. When the two forms are submitted to the architect, she reviews the information and signs. The architect's signature verifies the current payment due amount is the amount owed to the contractor for completed work.